An interesting and insightful read which examines a fallacious technique of propaganda known as the straw man. 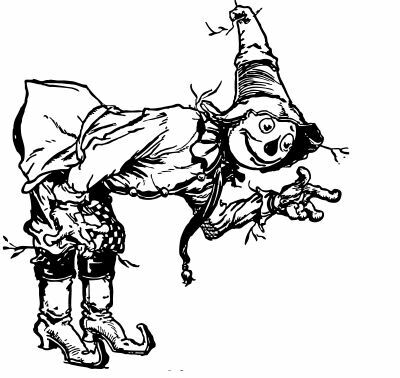 Psychologically, the straw man concept breaks things down to a simplistic level in which context is lost and decisions are relegated to “yes/no” choices, or extremes, which are more difficult to defend. This technique can be refuted by clarifying one’s original position. Once upon a time when I was a teenager and didn’t know any better, I got into a discussion (i.e. argument) with a relative on a topic that he had strong beliefs about. That topic was the hazards posed by certain chemicals used in growing and processing food — a hazard which, he was convinced, was nonexistent, but was merely a fraud concocted by devious scientists, or the government, or some other “them” who couldn’t be trusted. At one point, he said to me, ” if it wasn’t for chemicals, you couldn’t live.” Although I wasn’t even familiar with the term at the time, this was my first real awareness of the straw man tactic, which is the sixth in our series of propaganda techniques. These are well thought out guidelines to which I would include a couple of thoughts. In regard to item nine, while making cross-channel comparisons may increase the depth of knowledge surrounding a topic, but one must realize that many channels of information are owned by the same conglomerates (graphic from Mondo Times). For example, Columbia Broadcasting System (CBS) is one of the top six producers and owners of content from an American perspective. It controls television channels, for which it is primarily known, as well as film, radio, publishing, and various other “online properties.” News Corporation, a competitor of CBS, owns many of the same types of media that CBS does, but News Corporation adds newspapers and magazines to its portfolio AND maintains a global focus with its properties (Columbia Journalism Review, 2011; Mondo Times, 2012). The point is: checking information from a source on TV (channel 1) to a source in print (channel 2) may not be advantageous if the sources are owned by the same corporation (which may not be immediately evident). People tend to seek out information that supports their existing world views and, as a result, they reinforce what they believe and rarely understand counter viewpoints, or the entire picture. To be knowledgeable on a topic means to thoroughly understand the arguments for and against it – having a broad base of knowledge (number four on Potter’s list). In order to accomplish that, one must take the time to consume the messaging from the other “side” – a cross-party comparison. This may mean watching content that may not be in one’s comfort zone while maintaining a neutral attitude and keeping an open mind about a topic. A technique I have developed for myself, having worked with the media extensively, is to listen to what is presented in the national news media and then compare that information with what is being discussed in the international media – a cross cultural comparison. American’s tend to live inside of what I like to refer to as a “media bubble” that echoes much of the same messaging from channel to channel. Comparing information from international sources tends to deflate that bubble, or add to the breadth of knowledge on a topic. Content providers such as the BBC, Al Jazeera English and Russia Today present different perspectives which can be quite informing. Last, one should understand what fallacious arguments are (errors in reasoning resulting in a misconception which can be used purposefully), and that there are more than 90 types of them. An example would be the ad hominem argument that attacks an individual’s credibility, vice a topic of discussion (Lindsay, 2012). Another type of fallacious argument that is frequently seen in news commentary is the failure to state technique. This technique allows the user to “attack” the subject matter and control the discourse by continually questioning it, vice stating one’s own position. Understanding and recognizing these techniques can prime a person to seek other sources of information, or to personally conduct research. Potter, W. J. (2013). Media Literacy. Thousand Oaks: Sage.